After a trademark for something that was known (the trading card game reported on here), we now have Hasbro filing with the United States Patents and Trademark Office for something entirely unknown: Transformers BotBots. The application is for the name only, and under the category ' Toy figures; toy robots convertible into other visual toy forms ', and we have no idea what it might be referring to - though by the name, it is worth speculating on the probable younger audience appeal, or a least something like blind bagged Tiny Titans or Tiny Turbo Changers variety of figures. Check out the information below, and let us know what you think in the Energon Discussion Pub! Seriously am I the only one who feels bamboozled by this name? It's just so odd I can't wrap my head around this word, it's like if someone went and asked if I would like some foodfood or if I want to take a walkwalk. I'm not dreaming am I? Sounds like a euphemism for Action Masters. ..............Is it Hasbro's way of Trolling GoBots? If so I might be interested. With a name like that I'm guessing it's their version of Tsum Tsums. 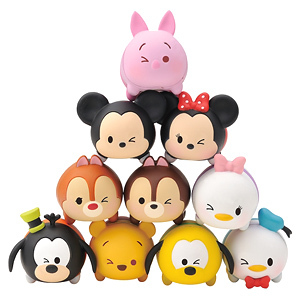 Emerje wrote: With a name like that I'm guessing it's their version of Tsum Tsums. Remember those strange listings on Amazon back in June? Well they've now surfaced on Walmart.com as well! What's more, thanks to these listings we finally know what line they are from, Botbots! This line was first discovered through a trademark application filed by Hasbro in January of this year. It should be worth noting that the Toilet Troop and Techie Team are listed as being 5 pack while the Greaser Gang and Jock Squad are listed as being 8 packs respectively. What do you think this Botbot line is? Let us know in the comments and stay tuned to Seibertron for all the latest news and reviews. 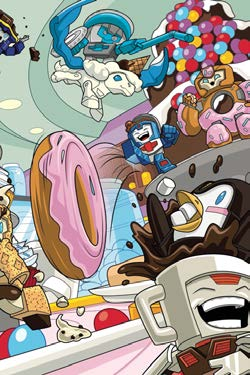 I had said before that BotBots are probably similar to the Disney TsumTsums, and now that we know they're connected to these names these probably are a bunch of tiny figure packs that probably don't transform. It's quite possible, though they could be more like these little things called super zings that my 5 Yr old has gone crazy for... Again. They're little figures made out of rubbery plastic which take the form of anthropomorphic everyday objects...they are all blind bagged as well. Following the reveal that the strange Amazon listings were actually part of the Transformers BotBot line, fellow Seibertron user, Ironhidensh has sent us word that more BotBot products have appeared on Amazon. There is no pictures yet associated with these products and they are all set to release the first of January 2019 which is likely a placeholder date. Each item's description is also just placeholder text. What do you make of these? Stay tuned to Seibertron for all the latest news and reviews. And why haven't they been fired for the naming scheme alone? My guess is that these are box sets of various combiner teams and other random characters we never got from the last few generations sublines: ie the seacons, the Autobot targetmasters etc. The reason for the discrepancy in figure numbers is that some of the box sets contain figures who are headmasters. Very wishful thinking there I'm afraid. Botbots are blind bagged items and these are just themed sets. Also the OG Greaser Gang 1.0 link on Amazon is now showing up as purchasable/pre-orderable for 14.99. Nemesis Primal wrote: Also the OG Greaser Gang 1.0 link on Amazon is now showing up as purchasable/pre-orderable for 14.99. They've all been coming in and out of pre-order since June. Some of the sets are priced at $10, too. It's the pricing that's the give away for these. 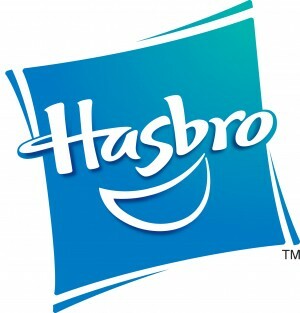 As we know, Hasbro will be present at both the Paris Comic Con event and the MCM London one, offering some potentially new reveals for upcoming toys across the currently active Transformers lines (Studio Series, Cyberverse, Siege, Rescue Bots) - but we also know that BotBots, the latest trademark to be announced at MCM London will be shown off too! The weird listings found so far on online retail spaces Walmart and Amazon, which include the likes of Music Mob, Shed Heads, Greaser Gang 2.0, Spoiled Rottens, Seasons Greeters, Goo Goo Groopies, Toilet Troop, Techie Team, Greaser Gang, and Jock Squad, finally have some sort of visual cue, as the latest Hasbro Investor pack gives us a look at the logo and what appears to be Littlest Pet Shop styled cartoon art of the new characters - including a donut, a cup of coffee, a penguin, a soft drink, and more. Check it out below, and join the speculation in the Energon Pub!